Welcome to The Skellig Lodge, budget accommodation located in the village of Ballingskelligs; the gateway to Valentia Island and Skellig Rocks. Located on the Skellig Ring, ‘A Secret Ring off the Ring of Kerry’. The Skellig Lodge, built in 2003 is registered with Failte Ireland and meets the highest standards of comfort and convenience for guests. 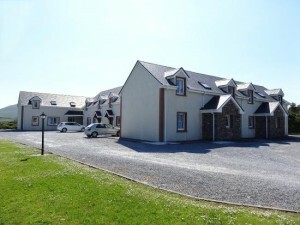 With warm, spacious, fresh and bright bedrooms with stunning views over the Ballinskelligs Bay and mountains with great modern facilities, fully equipped self- catering kitchen, Dining Room, Lounge, TV and free wireless internet.